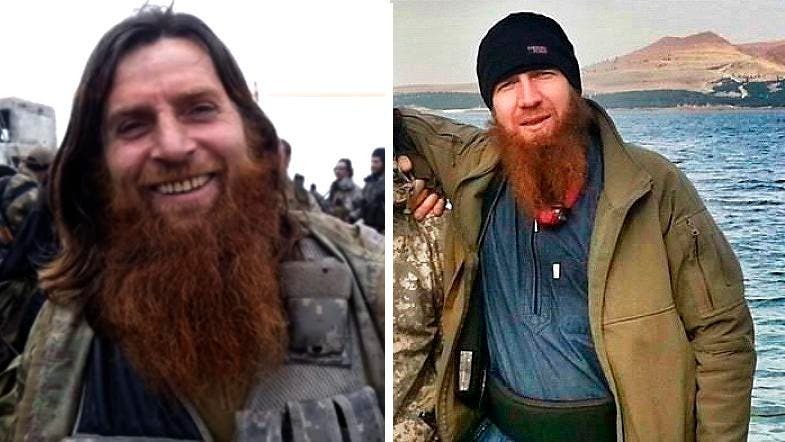 Following the Islamic State takeover of Mosul, its Chechen military leader, Omar al-Shishani (Omar the Chechen) received ample media attention. 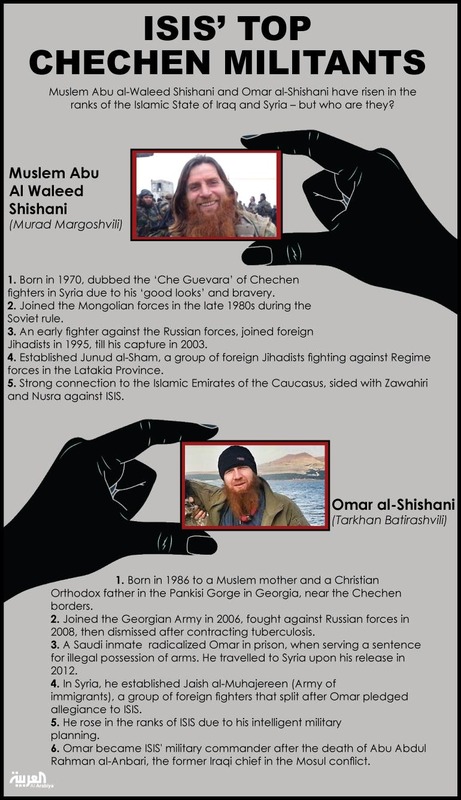 The man’s rise in ISIS’ ranks, has overshadowed the significance of a better established Chechen figure, Murad Margoshvili, aka Muslem al-Shishani, whom activists say has a Che Guevara status among his compatriots in Syria. “For many Syrian and foreign fighters, Muslem is known for both his bravery and good looks,” according to Sami Hamawi, a media activist in an Islamist brigade who fought with the Chechen leader in the Latakia Province. Omar, formerly Sergeant Tarkhan Batirashvili in the Georgian army, was appointed ISIS’ military leader after the death of Abu Abdel Rahman al-Anbari, the previous Iraqi commander of the group, is only 28, and has had a limited history of fighting against the Russian Army, the Chechen Militants’ historical archenemy. Batirashvili grew in Georgia’s picturesque Pankisi Gorge, until he was 14, when he allegedly joined Ruslan Galeyev’s forces in their fight against the Russian backed rebels in Abkhazia, according to Omar’s father, Teimuraz Batirashvili, an Orthodox Christian. Omar later enlisted in the Georgian army, rising in ranks to sergeant till his dismissal after contracting tuberculosis. Georgian authorities imprisoned him on charges of illegal possession of arms. Only in prison, Omar was radicalized, traveling to Syria immediately after his release in 2012. An Islamist source in Raqqa, says that while Omar al-Shishani is gaining influence due to his senior ISIS position, Muslem remains the most revered, even among Chechens in the group’s ranks. Muslem, on the other hand, 16 years the senior of Omar, possessed a deeper history in the Chechen conflict, before moving to Syria. According to this biography, narrated in English on the ChechensinSyria blog, he served in the Soviet air defenses in Mongolia, and joined the Chechen fight against Russian forces early in 1995, alongside Arab Mujahideen. The Chechen rebel leader was captured in 2003, imprisoned, then kidnapped and freed in 2006. But this is where Muslem’s story goes obscure. In an awkward twist of events, the Chechen fighter was acquitted after a witness withdrew her statement, then while in court, masked Russian agents tried to kidnap him, but Muslem escaped. The biography claims that he went to Georgia for treatment, then organized a Militant group in Dagestan in 2008. By 2012, Muslem entered Syria, where he established Junud al-Sham (soldiers of the Levant), fighting alongside Syrian Militant groups. Following his arrival in Syria, Omar established Jaish al-Muhajereen (The Army of Immigrants), a group of foreign fighters that split following his pledge of allegiance to ISIS. Since his joining of ISIS, a media war over authority has been raging, reaching Chechnya. The Islamic Emirate of the Caucasus, an al-Qaeda aligned group fighting against Russian forces and their allies, and Muslem, sided against ISIS in its fight against Nusra and other militant groups. ISIS accused Muslem of being a Nationalist, raising the Chechen flag before Islam’s, while they published a video of a Ukranian who defected from Junud al-Sham. Being a more experienced old school Militant, Mustafa adds, Muslem prefers to side with al-Qaeda leader Ayman Zawahiri, than Baghdadi. The inexperience of Omar is apparent in his broken Arabic, as he, being the military commander, was asked to lead the prayers following the defeat of regime forces in Tabqa Airbase in Raqqa, Omar, originally from a Christian family, failed in reciting some of the verses, leading to dismay among his fellow commanders and fighters. Having fought for many years along Arab Militants, Muslem’s religious credentials are stronger as appears from his Syria videos. ISIS seeks to lure more Chechens through administrative policies, like establishing a Caucasus-focused school for their children, and a special brigade. Mustafa believes the Chechen infighting will end as soon as a window will open for them to return to Chechnya. 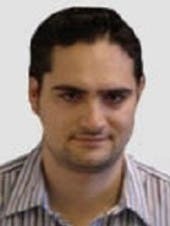 Khaled Izza, an expert in Russian affairs, says that “Moscow fears the return of these al-Qaeda affiliated fighters to recruit, organize and execute operations in the heart of Russia,” insisting that secret police agency FSB (former KGB) has infiltrated many Chechen cells and brigades. Sources in Raqqa and the Latakia Province, where Muslem is based, estimate that thousands of Caucasian fighters are in Syria, many of whom are in ISIS’ ranks, while Izzi thinks the number is lower, and so does the BBC. The reason might be that the locals tag all the Russian speaking foreign fighters “Chechens,” raising their number.